Grocery shopping for a large family can be a challenge, but with a little bit of pre-planning and some organization, it can be accomplished rather easily with just one trip to the store each week. Her are my 5 best tips that can be applied to families of any size! Before you make a trip to the grocery store, you should have an idea of what you plan to cook for the week. 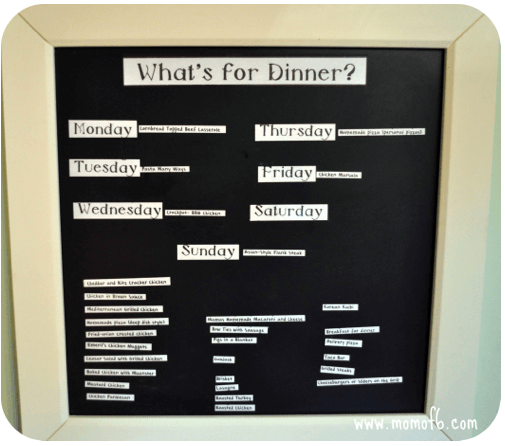 At our house we use this menu planning board every Sunday to pick what we will eat for dinner during the upcoming week. At the bottom of the board I have a list of all of our family dinners that the kids enjoy (they are all magnets! ), and then the kids and I create a game plan for each night of the week. I lost my memory way back sometime between children #2 and #3 joining our household (and if you happen to see my memory running around on its own, please send it back to me! )… so there is no possible way that I will recall that we have run out of say, ketchup, while I am standing in that very aisle of the grocery store. Even if my kids have reminded me to buy ketchup just 10 minutes before I left the house. Sad, but true. So the only way I am going to replace the items that we have run out of, is if I add them to my grocery list right as I am tossing (recycling of course) the last container of whatever it is that we've just used up. 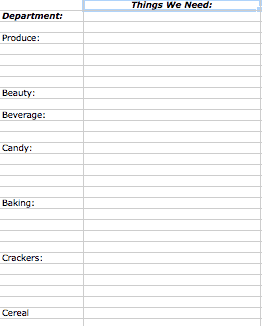 So I created this handy dandy spreadsheet in Excel that just lists all of the grocery categories down one side and allows room for me to list what we need on the other. Let me tell you- it is SO much easier to shop when you have your list organized by category, and when those categories pair up nicely with the aisles in the grocery store! 5. Plan on what to buy, head to the store, and buy only what's on your list! After I reviewed the deals, matched up my coupons, and completed my grocery list based on my menu plan, items I'm out of, and items I want to buy because they are at their best price…. I have a full and complete list of what I need from the store. And it is organized by category for quick pick up as I cruise up and down the aisles of the store. I am generally in and out of the grocery store in about 45 minutes. I rarely buy any additional items that are not on my list… and that only happens when I come across a great unadvertised in-store deal where I can pair a low price with a coupon that I have in my binder. Other than that- there is no wandering around wondering what to buy, evaluating “what looks good”….. I just shop for what I planned to buy, and head on out of there! What are your best grocery shopping tips? Please leave a comment and share them with us! « 5 Things in My Closet I’m Hanging Onto… And I Have No Idea Why! I love the seasonal idea suggested by Angie. I have varied between two menu ideas which is to have theme days such as Mondays would be left over day, Tuesday sandwiches, Wednesday beef, Thursday breakfast, Friday and Saturday sit down no holds barred meals (notice that the big meals coincided right before left over day, which was also the day before garbage pick-up, fridge cleaning was a snap). Then I would go through the menu for the month and decide different sandwiches, chicken meals, etc. Now on Sunday Morning I sit down with a few cookbooks, write out the menu for the week (complete with cookbook code (Q for Quick meals, I for Italian) and page number. If I notice something in the recipe that I know I am out of or didn’t normally carry I just it down on a grocery list that is divided by layout of the store. Finally I add my kids wish list items or things I jotted down on my short list during the week that we ran out of (this is located underneath the menu so it is easily accessible for the whole family to write on). Then I send my 18 year old to the store with my list and credit card number. Because she never varies from the list I save so much money and time, while she learns awesome shopping skills. 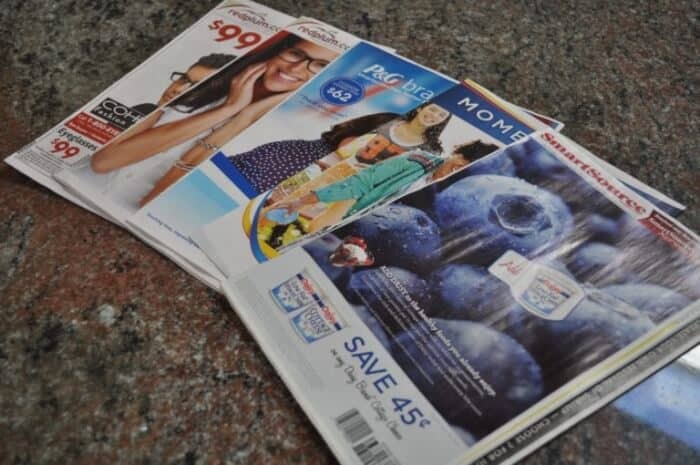 Oh, I agree with you on that… when I was first married, I couponed, matching up sales with my coupons, but for me, it was hard to do when my kids were little, so I got out of the habit. 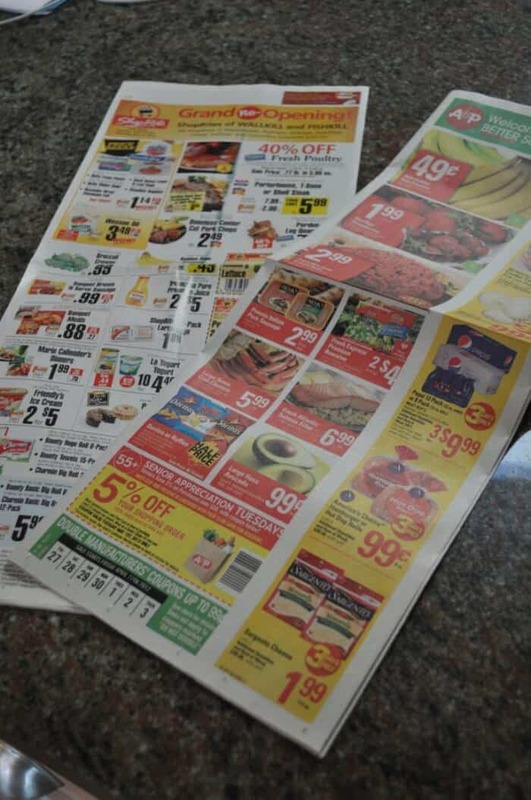 A friend of mine got me back into couponing last summer, and while I still get certain things at Costco, I do shop the sales now with my coupons in hand. Not only does it makes sense Angie- it sure sounds great! And certainly makes the whole menu planning process much easier! But the one thing that I’ll share that I found out after studying prices per unit, was that I actually fared much better at grocery stores buying items on sale and matching sale prices with a coupon than I did buying in bulk at Costco or Sam’s Club! Being organized at the grocery store is the only way to go. I work part time out of the home and my time became really limited for meal planning. When I found a deal for emeals.com and with a few tweaks the meals work for my family. Now I just need to find time for couponing! Exactly- Jessica! Being organized at the grocery store… at home… in the office… basically everywhere is the only way to go!